Featuring dark blue dials with a metallic finish and a hand-wound movement just 2.1mm high. 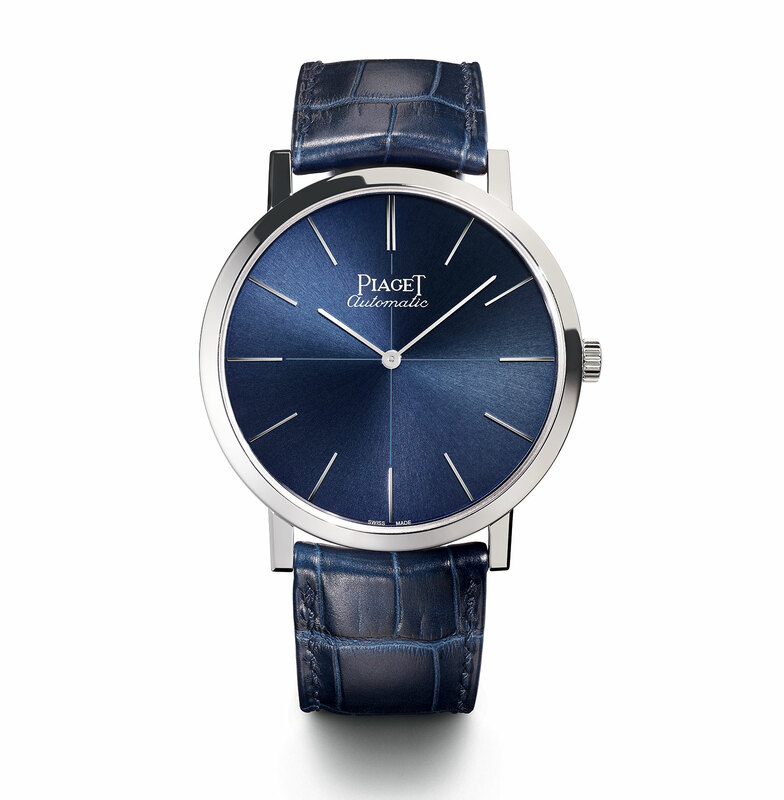 Though as much as a jeweller as a watchmaker in the present day, Piaget started as a maker of timepieces. The brand scored one of its greatest hits in 1957 when it introduced the slim calibre 9P, one of the thinnest movements ever made. 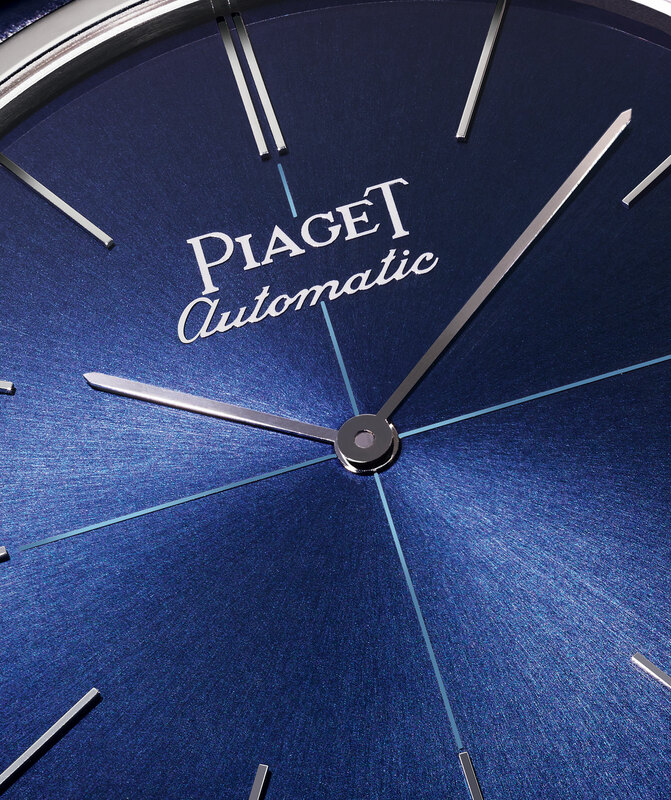 And three years later Piaget followed up with the automatic 12P that was just 2.3mm high. 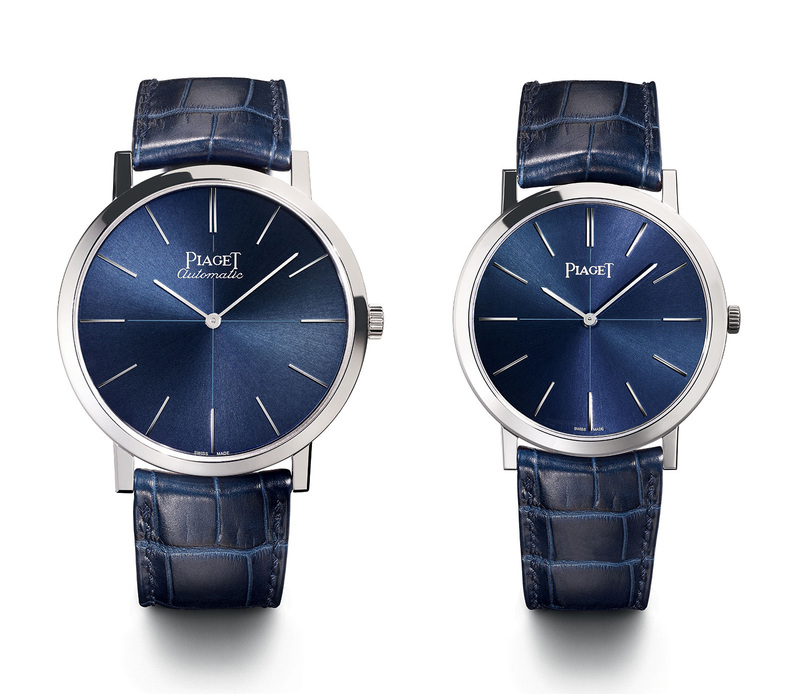 Next year Piaget will mark the 60th anniversary of that milestone with several commemorative editions, starting with a pair of watches modelled on the original. 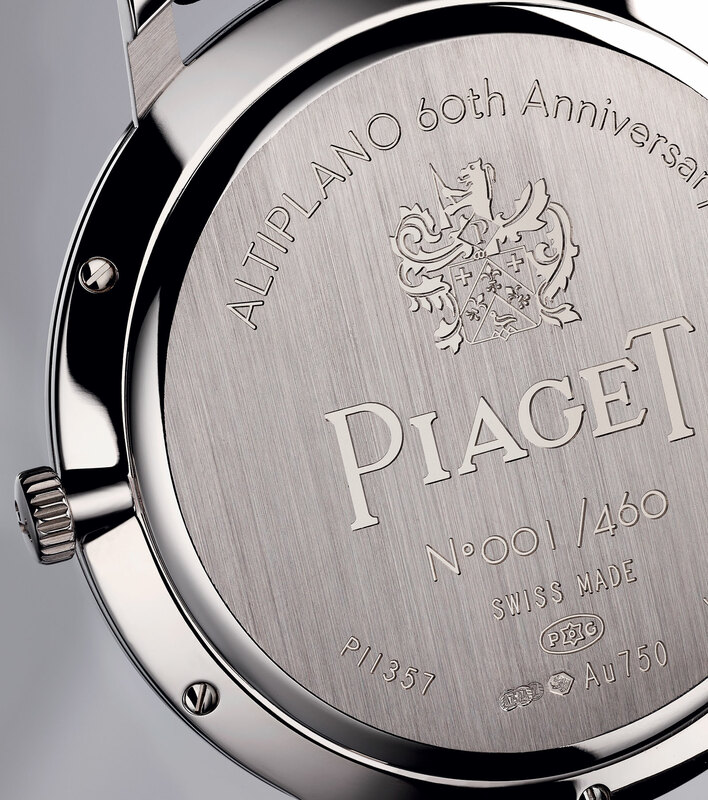 The Altiplano 60th Anniversary Collection watches are both 18k white gold but available in two sizes, 38mm or 43mm. The pair share the same aesthetic derived from the 1960s original – that admittedly was common for most extra-thin watches of that era – with baton hands and hour markers, as well as a subtle crosshair in the centre of the dial. But while the baton markers on the vintage originals were merely printed, those on the two commemorative editions are applied 18k white gold. The movements, however, different. 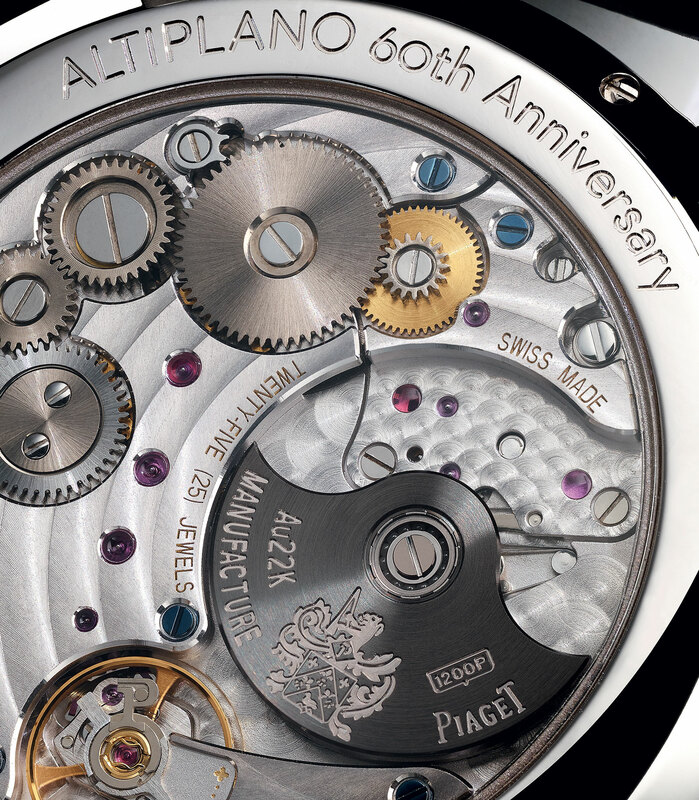 The Altiplano 60th Anniversary Collection 43mm is powered by the calibre 1200P, a thin automatic movement. Visible through the display back, the calibre 1200P just 2.35mm high, thanks in part to the compact micro-rotor that’s made of 22k gold. 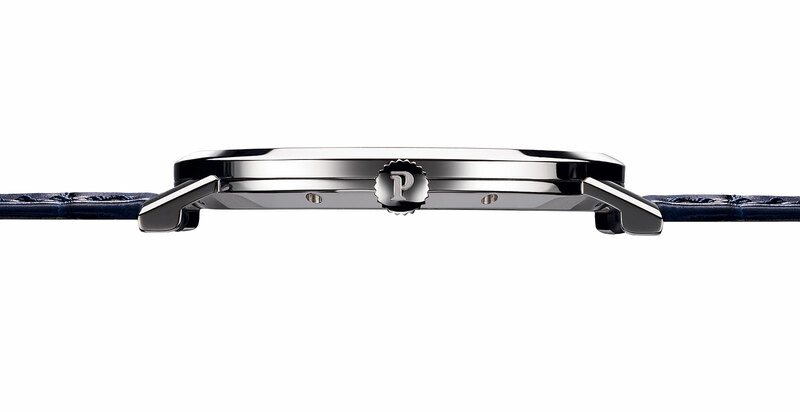 “Automatic” in italic script on the dial is the only clue to the movement inside the watch, a detail taken from the original self-winding ultra-thin Piaget watches of the 1960s. 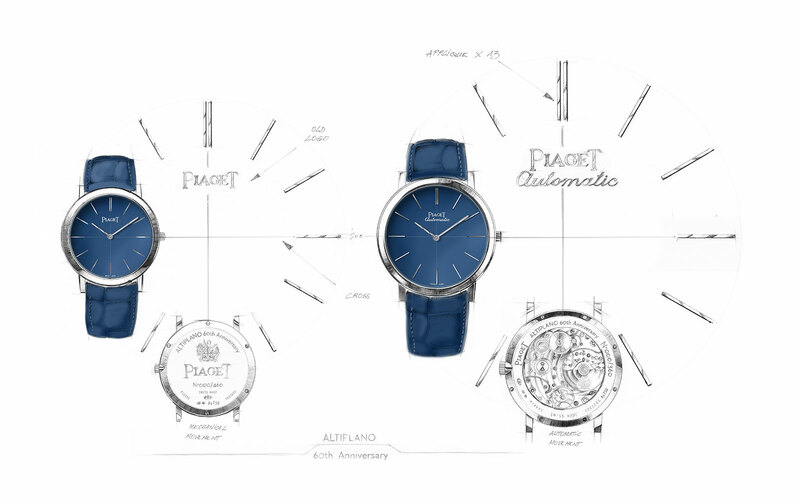 The Altiplano 60th Anniversary Collection 38 mm, on the other hand, is manually wound. It’s fitted with the calibre 430P, a 2.1mm high movement with a 43-hour power reserve that’s hidden behind a solid case back. 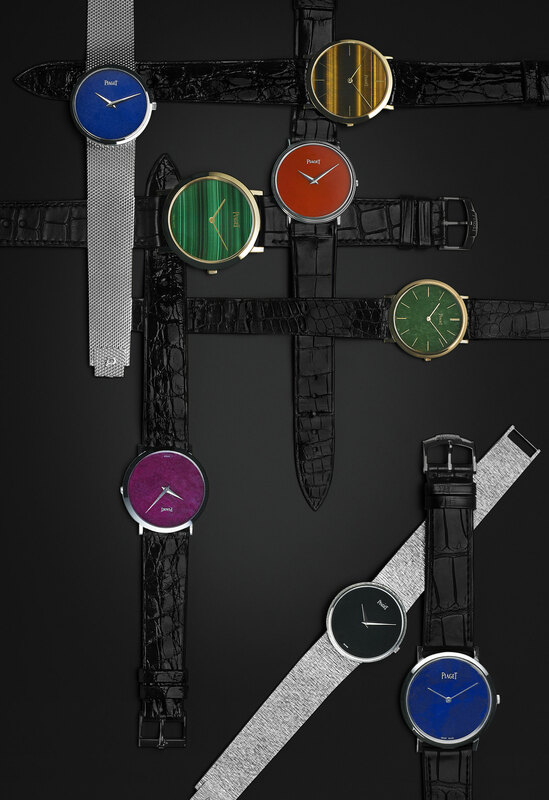 A variant of Piaget’s trademark ultra-thin watches were timepieces fitted with semiprecious stone dials, extraordinary thin slices of mineral mounted on a metal base. This strikingly coloured watches were particularly fashionable in the late 1960s and 1970s, which bodes well for a commemorative comeback of sorts in the upcoming anniversary year. 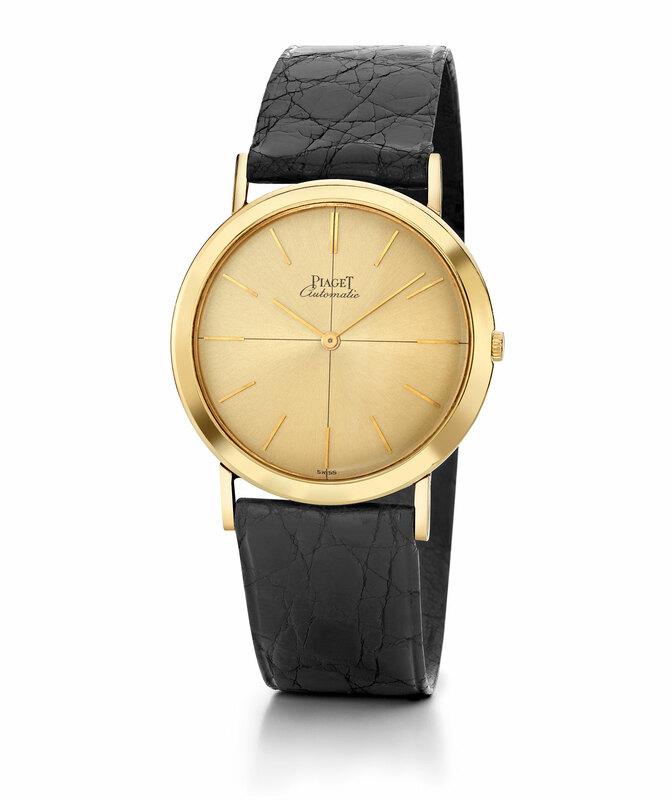 The Altiplano 60th Anniversary Collection 38 mm (ref. G0A42107) is limited to 460 pieces and priced at US$17,900 or S$25,000. The 40mm model (ref. G0A42105) is limited to 360 pieces, with a price tag of US$23,900 or S$35,000. Update December 12, 2016: Retail price added.